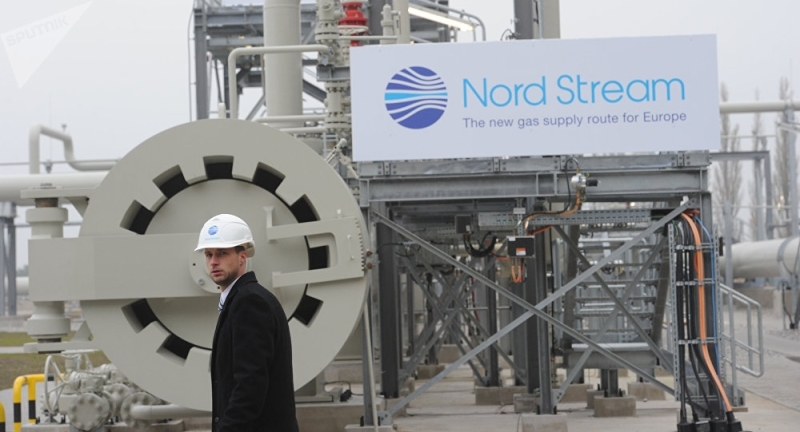 The Donald Trump administration has moved beyond browbeating the European countries involved in the Nord Stream Two project and threatening sanctions against the natural gas pipeline’s partners; it is now making the same threats against its contractors. But German Chancellor Angela Merkel and her successor at the Christian Democratic Union party, Annegret Kramp-Karrenbauer, refuse to knuckle under. At the World Economic Forum in Davos (January 23), Germany’s departing leader said that Berlin will stick with the deal to buy more Russian gas, which will be delivered via Nord Stream Two (Russia Business, January 24, 2019). Meanwhile, United States Ambassador Richard Grenell has elevated to a new level his condemnations of German businesses involved in the offshore gas pipeline (Handesblatt, January 14, 2019). Specifically, He sent a letter warning the country’s two pipeline partners, Uniper and Wintershall, that they face economic sanctions (EU Observer, January 16, 2019). It was the first time a US official had sent a direct warning to a Nord Stream Two partner. The other pipeline owners are France’s Engie, the United Kingdom’s Royal Dutch Shell and Austria’s OMV. Washington has also threatened sanctions against companies constructing the pipeline. Switzerland’s Allseas and Italy’s Saipem were warned that if they continued working on Nord Stream Two, they faced sanctions that included being unable to bid on US projects, the German newspaper Handesblatt reported (Handelsblatt, January 6, 2019). Saipem, which built Gazprom’s original Nord Stream One and the Blue Stream pipeline (Offshore-mag.com, November 1, 2002), won a contract to build the subsea section of Russia’s South Stream pipeline before the project was canceled in 2015. Although it is in a legal dispute with Gazprom over the cancelation, Saipem won a major contract in December 2018 to build the Russian company Novatek’s Arctic 2 liquefied natural gas project (Saipem.com, December 19, 2018). The Italian firm has also signed an agreement with Gazprom to study the feasibility of the so-called South Stream Lite pipeline, which is planned to connect the second line of TurkStream to Western markets (Interfax, July 27, 2018). Meanwhile, the Nord Stream Two partners have drawn up a new pipeline route to circumvent another obstacle—Denmark’s refusal to allow the pipeline to traverse its territorial waters. The new path will go around this area, but as a result, will have to be built in a less favorable and, potentially, more dangerous spot (The Local Denmark, August 10, 2018). All that said, Nord Stream Two continues to move ahead in construction, despite mounting US pressure. As a result, more attention is being paid again to the question of Russia’s gas transit deal with Ukraine. Less than a year before the contract expires, negotiations aimed at a new agreement, or compensation for ending the old one, have failed to produce results. Ukraine’s Naftogaz pipeline company has asked Swedish, British, Swiss and Dutch courts to freeze Gazprom’s assets in their territory to gain leverage in the negotiations. Whereas, Russian Energy Minister Aleksandr Novak has warned that a new deal with Ukraine would be possible only after the European legal cases were settled (TASS, January 21, 2019). The complex legal jousting, thus, continues.